Round one seemed to have an impact on the players as they dramatically changed their game in round two. Thalia Cervantes chose a more solid approach today against defending champion Emily Nguyen. Her strategy seemed to pay off as she occupied the center with the knight hoping to e5!. She soon achieved a comfortable bind against Nguyen. Cervantes managed to increase her advantage, but she started to play too fast in a winning position, and fell into a fortress. A narrow save by Emily Nguyen conserved her lead in the tournament! The most exciting game played in the Girls’ section was between Eswaran, Asritha and Wang, Annie. 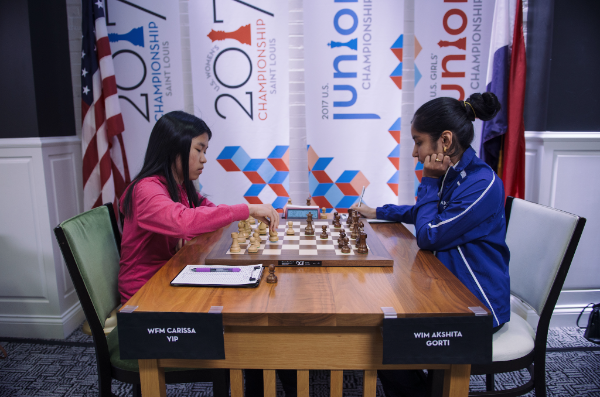 The game started as a quiet Spanish, which was spiced up by Asritha’s inventive 16.d4!? move. Annie managed to avert Asritha’s dangerous attack and started to improve her position little by little. Eventually, she made the intuitive sacrifice 42…c5!, which gave her a long lasting initiative! Suddenly, Ashritha’s position became critical, and Annie won a piece and with it the game! 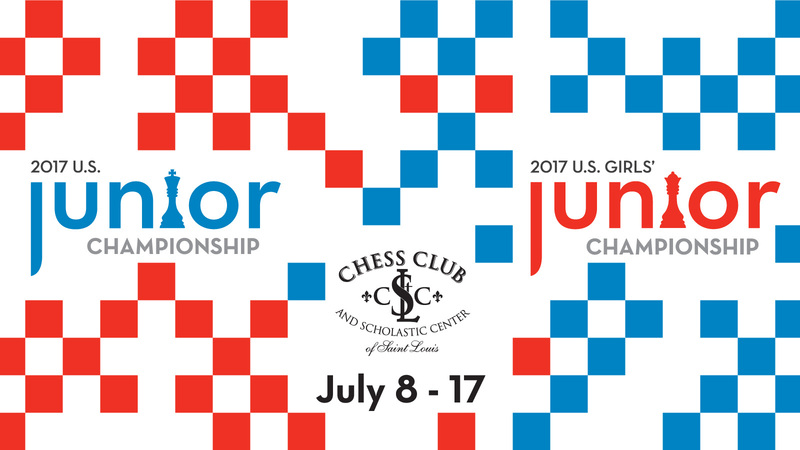 Gorti and Virkud won their games in the true spirit of counter-attacking chess! Gorti built a stable position against Yip, and when Carissa played 24 Rg4, she fell into Gorti’s counter idea based on 24…f5!. In the ensuing complications, Gorti came out on the top and, with this win, she joined the leaders! 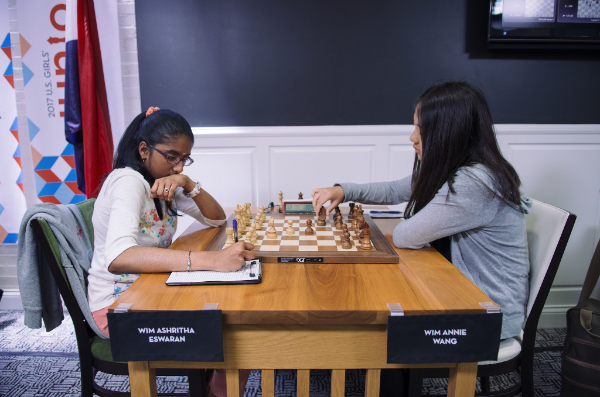 Apurva Virkud had a complex Najdorf battle against Agata Bykovtsev. Bykovtsev played white and came up with an interesting idea, 13.Nce2! ?, which was first seen in the famous game played by Kasparov-Gelfand in 1991! Bykovtsev did have a pleasant position from the opening, but she soon drifted into a worse position after the unfortunate 30.Nd5. She could have kept her advantage after 30.Bb1!. After this inaccuracy, Virkud took over and won after 72 moves! 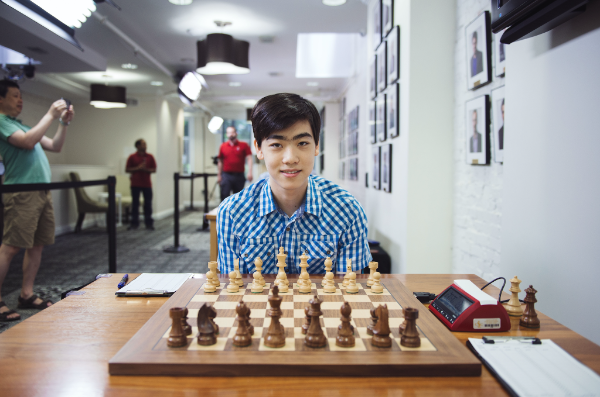 The round started with a key matchup between Kayden Troff and Ruifeng Li. 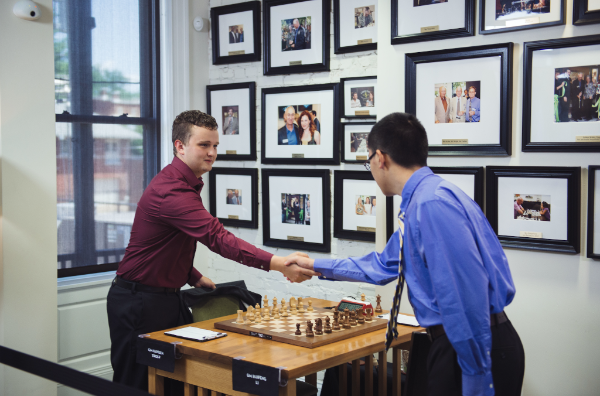 Coming into the round Ruifeng Li had a slight setback with his draw against Mika Brattain, while Troff had played a great game against Andrew Tang. Troff decided to enter a heavily analyzed line, and this caught Li unaware. Li tried to come up with an original plan, but his move 14…h6 wasn’t good enough and by move 27 Troff was able to force resignation! A powerful display of home preparation by Troff, which catapulted him to the sole lead with 2/2! The two players trying to keep pace with Troff are Akshat Chandra and Michael Brown. Akshat Chandra had a difficult position against Brattain, but somehow managed to salvage a draw. Michael Brown, on the other hand, managed to win a topsy-turvy game against Joshua Colas. The game of the day was definitely between Tang and Liang. Tang uncorked the strange looking 2.c3! ?, which helped him build up a London System against Liang. Surprisingly, a similar idea was already played by Kamsky against Levon Aronian in the Sinquefield Cup! Liang took his time, but Tang was more comfortable with the ensuing positions and, after setting up an attractive battery along the d-line with 28.Rd1!, it was clear that Tang has a superior position and soon he won his game! A great comeback from Andrew Tang after a difficult game against Troff. Troff is in clear first place in the Open Section, while there is a four-way tie for first place in the Girls’ section between Nguyen, Gorti, Virkud and Wang.